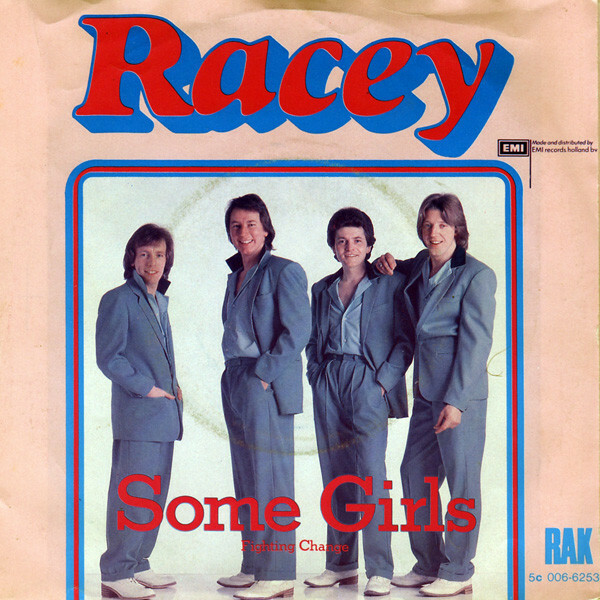 It was now 3 weeks in a row at 1 for Racey’s ‘Some Girls’, but what we did see was a new number 2 for the first time in a long while as Chilly’s ‘For Your Love’ finally ousted Gloria Gaynor’s ‘I Will Survive’ from that spot after the latter had spent what would be the all time record of 9 straight weeks in second place. It dropped to 3. Buffalo featuring Peter Vee took the climber of the week award as ‘Magic Carpet Ride’ really took off and jumped 9 places from 20 to 11. This was Vee’s second time with the award, but Buffalo’s first. It would be the only star rater this week. The oldest song on the chart, Frankie Miller’s ‘Darlin’, was the faller of the week, dropping 6 from 13 last week to 19 this week. It was in its 9th week as the oldest (only 12 songs so far had seen this many weeks as the oldest) and was the 51st to reach 20 weeks in the top 20. Neil Diamond’s ‘Forever in Blue Jeans’ was the first of 2 songs to depart the chart this week. It had been in the top 20 for 11 weeks and peaked at 7. Of his 13 hits to date, 11 of them had now gone top 10 although only 7 had managed 10 or more weeks. He would return to our charts at a later date. Also going was Bob Seger’s ‘We’ve Got Tonite’ which managed 9 weeks and a peak of 11. This had been his first SA chart hit and he had one more to come. The first new entry was Blondie’s ‘Sunday Girl’. Blondie were also at 12 with ‘Heart Of Glass’ and were the 64th act to see more than 1 hit in the same chart. ‘Sunday Girl’ would spend 3 weeks at the top of the UK charts and also topped the charts in Ireland. Despite its European success where it made the top 20 in Austria (#5), Finland (#13), Germany (#6), Norway (#5), Sweden (#18) and Switzerland (#5), it did not get a US release so consequently did not chart there. The other new entry was ‘The Face In The Mirror’ by German band Century. Apparently the band and the song were big in Denmark, but I have not been able to find chart details for that time for Denmark, so we’ll have to take Wikipedia’s word for that. Other than that, and that the song was written by Danny Low and James Taylor-Lorty, I can also only find release information for Germany (Pinball records) and South Africa (Telefunken records). This was the 22nd song by a German act to chart (this excludes Boney M whom, it could be argued, were German, but I have treated them as Jamaican) and Germany now sat tied 6th for hits by acts from a nation. It had been 59 weeks since we last saw an act type have as many as 13 of the top 20 and both this week and 59 weeks earlier, it had been the groups that had dominated the top 20. Last week we saw Supertramp and Eruption reach the 20 weeks in the chart mark. This week it was Art Garfunkel and Frankie Miller’s turn to reach that particular milestone. Boney M saw their total weeks reach 80. They were the 25th act so far to manage this many. Richard Jon Smith became the 54th act to reach 600 points as his total ticked over to 610. He was the 12th local act to reach this milestone.